Bitcoin ETFs were speculated to launch as early as last year, but a slew of proposal denials by the SEC postponed any definitive conclusions about the Bitcoin investment vehicle until early 2019. One of the major proposals, the VanEck-SolidX Bitcoin ETF, was recently dealt another blow as CBOE — one of the largest futures trading platforms in the US — pulled its request for a rule change from the SEC that would’ve allowed the exchange to list Bitcoin ETFs. The VanEck-SolidX proposal was scheduled for review by the SEC again in February, but VanEck withdrew the proposal and has plans to submit it again after the government shutdown ends. Bitcoin ETFs are exchange-traded funds for the legacy cryptocurrency that would enable investors to invest in Bitcoin without having to actually own the underlying asset, and instead only be exposed to its price. Ownership in the asset — Bitcoin — is divided among investors and is an investment vehicle that can be used for speculating on its spot price or hedging risk. ETFs are classified as securities by the SEC and can even track a bundle of assets rather than a single asset. The advantages for investors with a Bitcoin ETF is the ability to speculate on its price movements on a regulated, institutional exchange without having to purchase the asset directly through a cryptocurrency exchange. 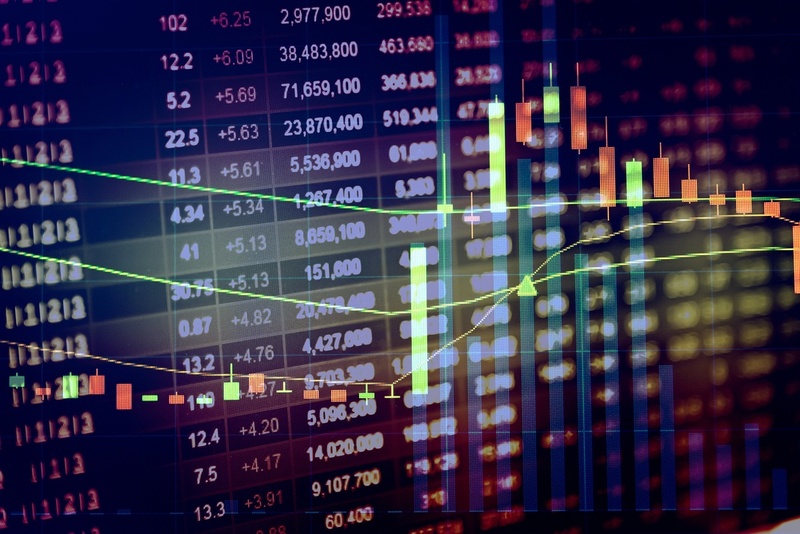 ETFs are exceptionally popular investment instruments that are useful for mitigating risk in volatile markets, something that coincides appositely with cryptocurrency markets. The VanEck-SolidX proposal was for physically-delivered ETFs, meaning that the asset held in the ETF would be insured against loss or theft. Bitcoin ETFs were reputed to be a critical momentum-driving event for the asset, which would propel it out of its extended bear market run. An ETF for Bitcoin would grant it much more exposure to mainstream investors in a regulated environment, while also signaling that it is more of a legitimate asset to those who are hesitant to approach Bitcoin and the broader crypto space. The VanEck-SolidX proposal was not the only Bitcoin ETF proposal either, however. Numerous others have been submitted — and so far rejected — by the SEC. The Winklevoss twins recently confirmed their commitment to a Bitcoin ETF, and Bitwise — an asset management company — also recently filed a proposal with the SEC to list Bitcoin ETFs with NYSE Arca. Institutional investors are looking for more regulatory clarity in the cryptocurrency sector, and are hesitant to enter the space until more traditional investment vehicles — like ETFs and ETNs — are approved by the SEC. According to CBOE analyst Ed Tilly, the lack of ETNs — which are similar to ETFs — are precluding many institutional players from entering the ecosystem. Tilly also detailed how ETNs are much more accessible than futures contracts to retail investors because of their reduced barrier to access and no minimum investments. Bitcoin futures are increasingly available and were first introduced by CBOE and CME in December 2017. Futures options for Bitcoin are available on multiple exchanges, including TD Ameritrade, BitMEX, CBOE, CME, and the much-hyped Bakkt platform — set to launch in Q1. Notably, in the SEC’s rejection of nine Bitcoin ETFs last year, the agency cited the lack of market depth and maturity of Bitcoin futures to adequately support the approval of Bitcoin ETFs. However, the growth of Bitcoin futures on more exchanges and persistent proposals by groups looking to list Bitcoin ETFs should garner more support by the SEC as the year progresses. Regulators are slowly but surely warming towards digital assets in the US as the landscape continues to unfold. Despite the recent blows to Bitcoin ETF proposals, their approval is more of a matter of ‘when’ than ‘if’ at this point. The government shutdown will assuredly delay the process further, and maybe even Bakkt’s scheduled launch, but interest by institutional investors is there, providing an incentive for regulators to create better oversight for digital assets. Instances like the New York State Department of Financial Services setting up a cryptocurrency task force, as well as their approval of a BitLicense for Robinhood Crypto, are important steps towards improved clarity on regulatory positions. Speculation will continue to surround Bitcoin ETFs until their approval, and they have legitimate potential to help the legacy cryptocurrency turn around the bear market should retail and institutional investors pour money into its ETFs. For now, the process seems delayed until likely another several months, postponing a process that is moving at a crawling pace.